Regular exercise—We’ve long known the connection between antiaging and exercise, but did you know that it goes far beyond preserving your cardiovascular health? Strong muscle, fascial strengths and posture help prevent falls, chronic pain, and overall physical deterioration. Exercise also releases endorphins that combat depression, and it works to prevent cognitive decline and boost brain activity. 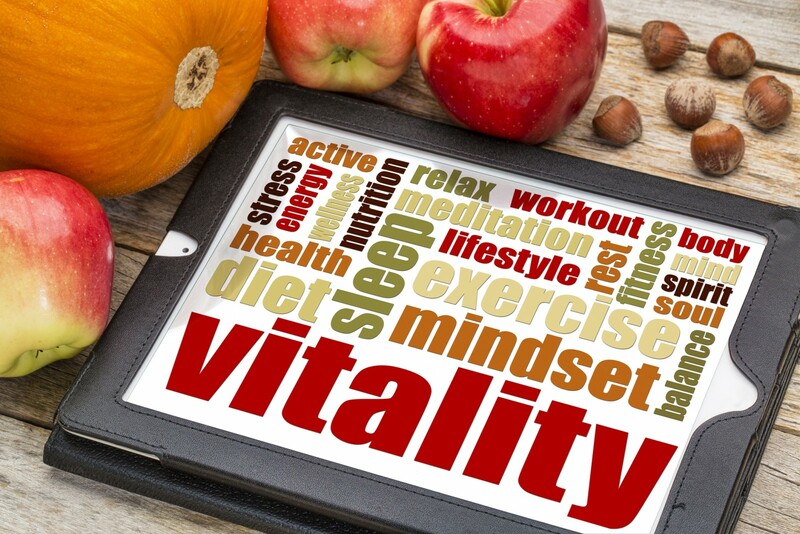 Nutrition—The old adage is true: you can’t out-exercise a bad diet. What you put in your body directly affects how it’s able to function. From cleansing away toxins to supporting cellular regeneration, proper nutrition provides the essential building blocks for your body’s processes. Mental health support—Stress takes one of the biggest tolls on our bodies both mentally and physically. You need to approach your mental health with as much attention and initiative as you do your physical health, including proper rest and relaxation. Holistic self-care—We often overlook key factors that contribute to our health. For example, your fascial system is the connective tissue that helps your body move and operate at peak performance. Sometimes, it develops problems that need specialized attention. The practice of Rolfing™ helps correct these problems and promotes a healthy body that functions in perfect alignment. Rolfing is used both for preserving health and fitness, but it also helps with injury treatments, like healing back pain. Certified Advanced™ Rolfer Bob Alonzi helps clients throughout the greater Los Angeles area achieve their wellness goals. He works with people just like you, and helps them discover how a holistic approach to their personal health helps preserve energy and vitality. To learn more, contact his office at 310-451-3250 for an appointment and jumpstart your own journey for living your best life.